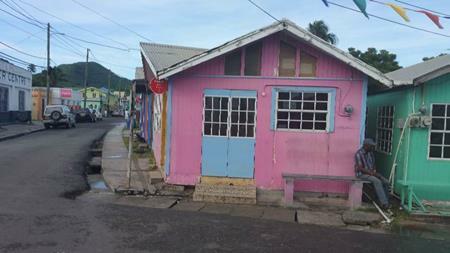 Home/News, Photo Gallery Current/Carriacou Fantastic Adventure! 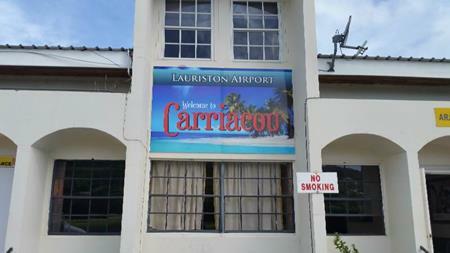 Getting to Carriacou was going to be one of the major issues. It seems that the airport didn’t have a lit runway! 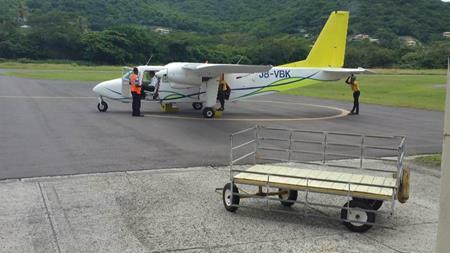 And the only way to get to the island was from Grenada. 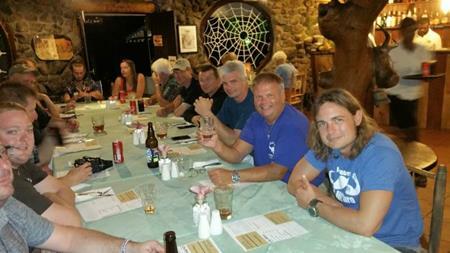 Eventually, we split our dive group of 14 divers into two groups of seven. Traveling on a seven seat, 2 prop airplane taxi, we arrived by dusk in two groups. Incredibly, though our bags were shipped across to the island by ferry, we were reunited with our luggage without incident. 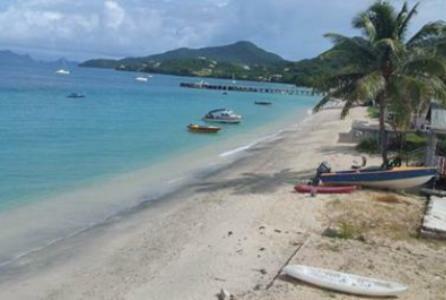 The dive operation in Carriacou is called Deefer Diving. They were amazing! 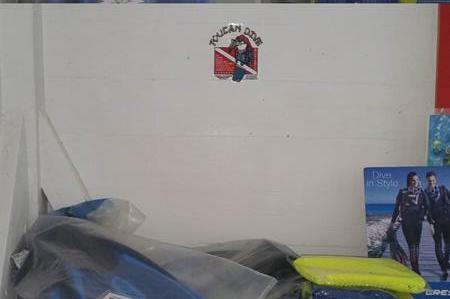 Not only had they scheduled all our diving for the week, they assisted us so many other ways. The owners of Deefer Diving, Gary Ward and Matt Rideout made sure to get us to our hotel/resort upon arrival and departure. They taxied our luggage from the ferry and back upon our departure by plane. 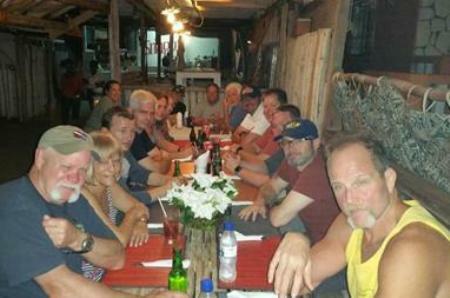 As per Deefer Diving, every evening a shuttle for 14 divers would arrive to take us to a new and exotic restaurant to dine! 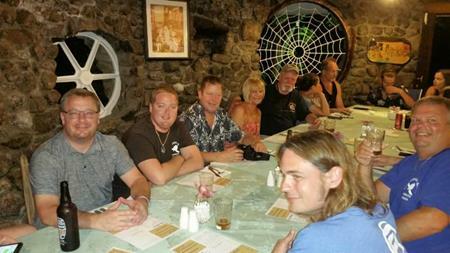 On a number of evenings, Gary and Matt, their wives, and the entire staff would join us for enjoyable evening out and about the island. 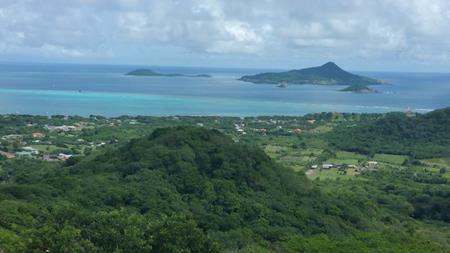 Carriacou diving could be an adventure in itself! 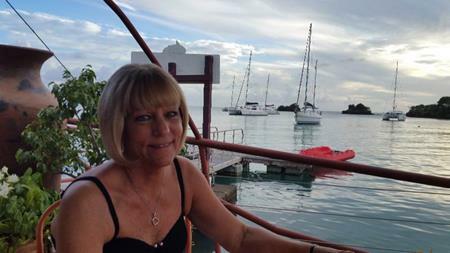 By comparison, Carriacou wouldn’t have the deep, treacherous walls of Cayman and Cozumel. 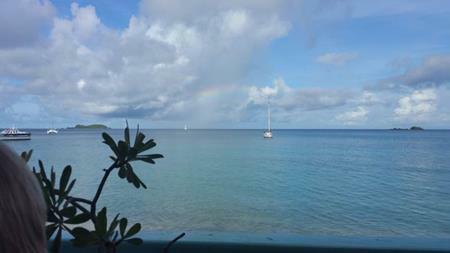 However, Carriacou is a wonderful protected marine sanctuary. Beautiful soft coral forests, and hard coral reefs explode into a rainbow of colors! Schools of yellow tailed snapper, grunts, blue chromis and fusiliers dominate this underwater paradise. Legions of silversides in uncountable numbers blanket the reefs and wrecks! At times, lost in the maze of fish, divers would lose site of their buddies! And yes, the schools of fish were so thick they blocked out the sun! Night prowlers lobster and crab hid in deep channels and crevices waiting for their evening supper. In contrast, moving along the reef, prehistoric stingrays and Goliath sized nurse sharks dipped in and about the corals or hid in the sandy shallows. To our surprise, a flying gunard, sashayed across our periphery! Incredible! 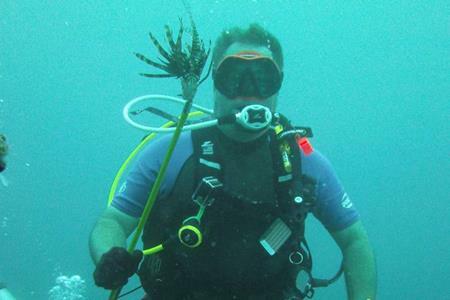 A spear with a rubber band of surgical tubing on one end, defines the name of our weapon known as the Hawaiian sling. 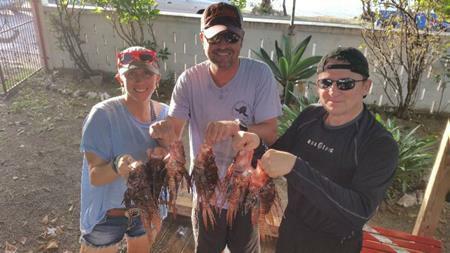 Attacking lion fish, an invasive predator is our objective! Why? One, to remove species that do not belong in this habitat. Two, the fish is fantastic to dine on! On multiple occasions, Toucan Divers would attack these intruders to our reef. 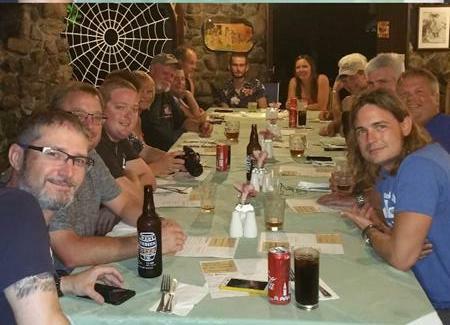 After collecting a trove of these cagey interlopers, one evening a local restaurant cooked them up for our group! 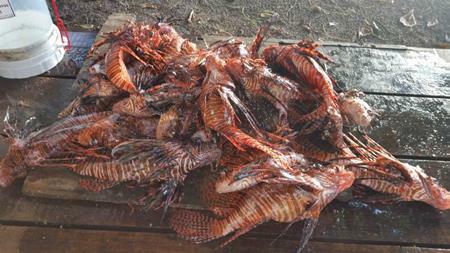 In comparison to other types of fish, lion fish, is a delicious white meat very similar to cod. It was totally enjoyed by all! 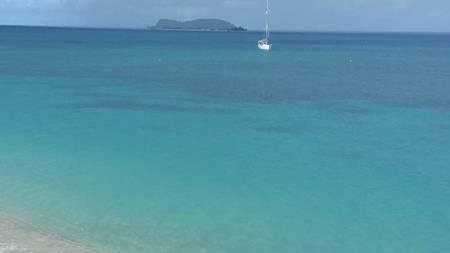 As an adventure, Carriacou did not disappoint! 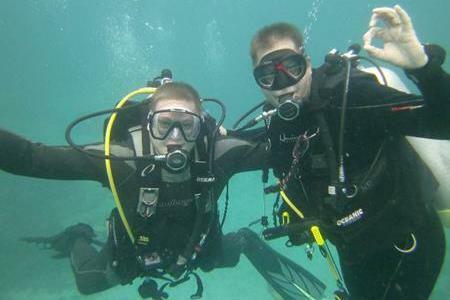 Fantastic diving, the fish life, and beautiful hard and soft corals drove our narrative! Reasonably priced and quiet! On the other hand, it can be a little bit of work to get there! 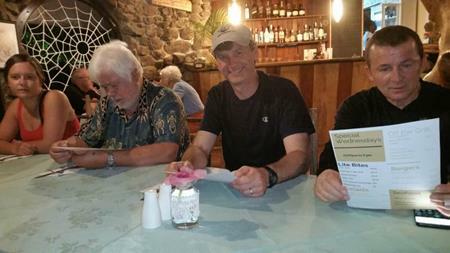 With the fine help of Deefer Diving with logistics, it made our dive adventure a rousing success! Will we return? You bet we will! 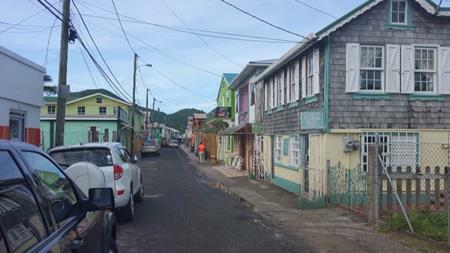 Carriacou will be on our list of destinations to return to in the future! Check out the video and photos below!